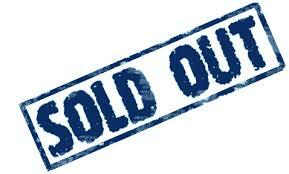 A great big “Thank You” to those who have made their reservations online for the largest event we’ve ever hosted! Over 200 people are expected to be at the event on Saturday evening, so no tickets will be sold at the door. Next year, the Norwin Play It Forward Fund celebrates its 10th Anniversary! Make plans to attend early next year to ensure you and your friends are part of the celebration! The 9th annual Wind-Up/Wine-Down and Music on Tap Event to benefit the Norwin Play It Forward Fund will take place on Saturday, November 17 from 6:30 to 10 PM at a new location – The Kitchen by Vangura on Route 30 in North Huntingdon (14431 Vangura Lane)! This over 21 event will feature wine sales and sampling from Greenhouse Winery, beer tasting from Quinn Brewing, and food from Atria’s, Cenacolo, Gia Visto, Jacktown Ride and Hunt Club and Salsa Sam! The popcorn bar from Pittsburgh Popcorn Company is back by popular demand, and we’re very excited to have The Dapper Doughnut on hand to make hot, fresh custom doughnuts! Prizes and the music of The Good Guys round out the evening! The evening’s sponsors include Albanese, Sinchar, Smith and Company, Metal Photo Service, Somerset Trust, The Synergy Group, Inc., UPMC and Vangura. Sponsorship opportunities are also still available! Call 724.515.4858 for details. Because of the larger venue, table reservations of 8 or 10 can be made, but the remainder will have open seating opportunities with food stations within the venue. Tickets will once again be $40 per person, and will be available through Eventbrite on the home page. Or, you can visit this link right now and order your tickets! We’re looking forward to seeing you and your friends there! Check out the event flyer for more details! Click or tap here! 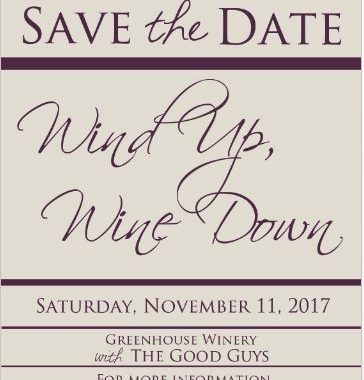 The 8th annual Wind-Up/Wine-Down and Music on Tap Event to benefit the Norwin Play It Forward Fund will take place on Saturday, November 11 from 7 to 10 PM at the Greenhouse Winery at 2155 Gracin Lane in Irwin, PA. This over 21 event will feature wine sales and sampling from Greenhouse Winery, beer tasting from Full Pint Brewery, and, once again, the music of The Good Guys! More details about food and prizes will be coming your way, but call your friends and make your plans to attend early. Tickets will once again be $40 per person, and will be available on the Norwin Play It Forward Fund Web site through Eventbrite. We hope to see you there! 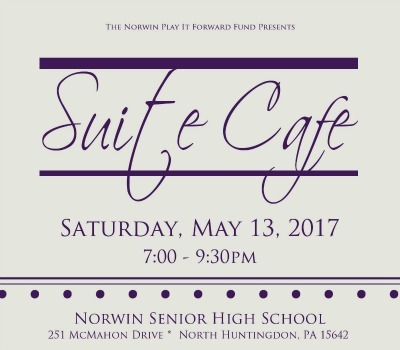 (North Huntingdon, PA) — The Norwin Play it Forward Fund presents the eighth annual Suite Café, a family-friendly coffeehouse event to benefit the fund. The event takes place Saturday, May 15, 2016 from 7 to 9:30 PM at Norwin High School. Suite Café is one of two annual signature events supporting the fund. The evening features musical entertainment by Norwin instrumental students and their instructors, coffee, candy bar, desserts, a popcorn bar featuring flavors by the Pittsburgh Popcorn Factory, and the “Almost Famous” Cake Auction! A 50/50 raffle and several major door prizes, including a FitBit, a Keurig Coffee Maker with coffee, and a “Pittsburgh Treats package” are among the door prizes. Those who attend can choose the prize they’d like to win. This year, you can use a credit card to order your tickets by using Eventbrite. Visit this link and follow the instructions. Corporate sponsorships for the event are available as well! For additional information, call Fallie at 724-864-1426 or email norwinpiff@gmail.com. All proceeds benefit the fund. Norwin Play it Forward Fund, Inc., a 501(c)3, non-profit organization provides need-based grants for motivated Norwin instrumental students, grades 5 -12, who desire to improve their musical performance abilities by taking private music lessons or attending summer music camps. The goal for students who benefit is to ultimately play it forward – either financially when they are able or by giving of their time and talent to help mentor other students – thereby attracting and retaining membership in the historically successful band and orchestra programs, and supporting the arts in the Norwin School District. Now in its seventh year, the fund has supported over 50 students with lessons and summer music camp grants. 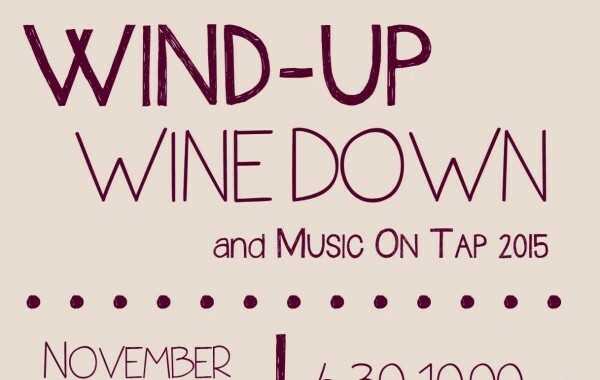 Norwin Play it Forward Fund presents its seventh annual Wind-Up, Wine-Down affair – a wine and music event to benefit the fund. The 21 and over event takes place Saturday, November 19, 2016 from 7:00 – 10:00 PM at Greenhouse Winery on Gracin Lane in Irwin. Live music by the Good Guys acoustic duo, wine tasting and sales by Greenhouse Winery, Full Pint Brewery craft beer by the glass, Pittsburgh Popcorn buffet, a buffet by Two Ladies and a Gentleman Catering, raffles, 50/50 and door prizes will round out the evening. 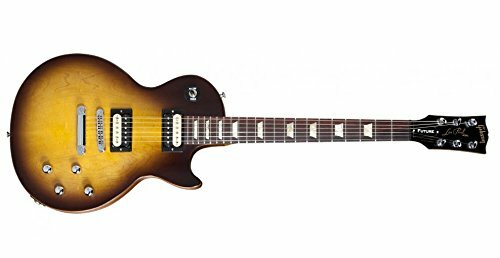 The grand prize for the evening is a Les Paul Standard guitar, donated by The Gibson Foundation. Custom labeled wines commemorating the Norwin Band’s award winning show will also be available for sale, with proceeds benefiting the fund. Tickets are $40 and reservations may be made by going to the fund’s website: norwinplayitforwardfund.org and click on the link to the event. No tickets will be sold at the door. For more information, email norwinpiff@gmail.com or call Fallie Princeton at 724-864-1426. Norwin Play it Forward Fund, Inc., a 501(c)3, non-profit organization provides need-based subsidies for motivated Norwin instrumental students, grades 5 -12, who desire to improve their musical performance by taking private music lessons or attending summer music camps. The goal for students who benefit is to ultimately play it forward in the future – either financially or of giving their time and talent to help mentor other students – thereby helping to attract and retain membership in the historically successful band and orchestra programs, as well as to support the musical arts in the Norwin school district. Suite Cafe 2016 – Spotlighting Students for the Seventh Season! (North Huntingdon, PA) — The Norwin Play it Forward Fund presents the seventh annual Suite Café, a family-friendly coffeehouse event to benefit the fund. The event takes place Saturday, May 15, 2016 from 7 to 9:30 PM at Norwin High School. 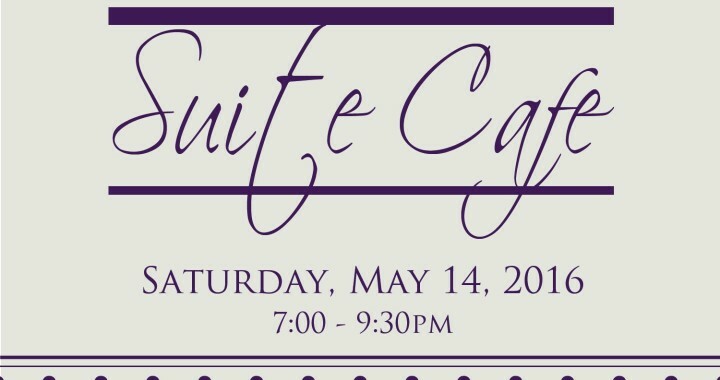 Suite Café is one of two annual signature events supporting the fund. To keep the focus on our student performers, there will once again be no Chinese Auction prizes this year – but there will be a 50/50 raffle and several major door prizes. Those who attend can choose the prize they’d like to win. Credit cards cannot be used except on the night of the event. 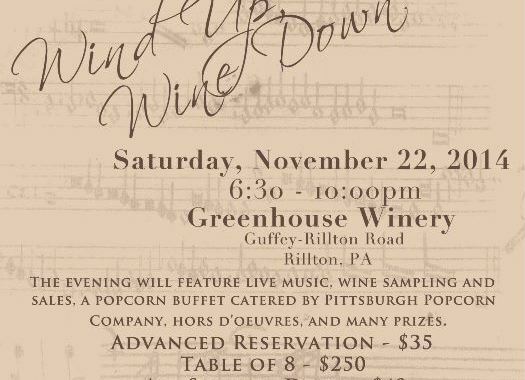 The 2015 Wind-Up, Wine-Down and “Music on Tap”, an adults-only wine-tasting, beer-sampling and live jazz benefit for the Norwin Play It Forward Fund, will take place on Saturday, November 21, 2015 at the new Greenhouse Winery in Irwin, PA. If that sounds a little different from what you’ve experienced in past years, you’re right! Our 6th year event expands this year at the Greenhouse Winery’s new location off Pinewood Road (off Mars Hill Road) in Irwin, PA, featuring live music with Chris Thomas and friends, wine sampling and sales by the Greenhouse Winery, beer sampling by Full Pint Brewery, a popcorn buffet catered by Pittsburgh Popcorn Company, hors d’oeuvres and many prizes. As has become a tradition, two specially labelled wines reflecting this year’s Norwin Band competitive show will be made by the Greenhouse Winery to commemorate the occasion. Advance tickets for the event are $35, and $40 per person at the door – if there are tickets that remain. The event has sold out every year, so make plans now to attend. Reservation requests may be made by contacting Fallie Princeton at 724-864-1426 or sending an email to fallieprinceton@gmail.com. If you’re interesting in paying by credit card, please call 724-515.4858, and leave a message. Your call will be returned with additional details. (North Huntingdon, PA) — Norwin Play it Forward Fund presents the sixth annual Suite Café, a family-friendly coffeehouse event to benefit the fund. The event takes place Saturday, May 9, 2015 from 7 to 9:30 PM at Norwin High School. Suite Café is one of two annual signature events supporting the fund. The evening features musical entertainment by Norwin instrumental students and their instructors, coffee beverages by locally-owned Barista to You, desserts, a popcorn bar catered by the Pittsburgh Popcorn Factory, and the “Almost Famous” Cake Auction, which continues to be a favorite (and a great way to bring home dessert for Mother’s Day celebrations, too!). To keep the focus on our student performers, there will be no Chinese Auction prizes this year – but there will be a 50/50 raffle and several major door prizes. Those who attend can choose which prize they’d like to win. For credit card inquiries, please call 724.515.4858 and leave a message, or email norwinpiff@gmail.com. Details will be provided in return communication. Corporate sponsorships for the event are available. For additional information, call Fallie at 724-864-1426 or email norwinpiff@gmail.com. All proceeds benefit the fund. Norwin Play it Forward Fund, Inc., a 501(c)3, non-profit organization provides need-based grants for motivated Norwin instrumental students, grades 5 -12, who desire to improve their musical performance abilities by taking private music lessons or attending summer music camps. The goal for students who benefit is to ultimately play it forward in the future – either financially or of giving their time and talent to help mentor other students – thereby helping to attract and retain membership in the historically successful band and orchestra programs, as well as to support the arts in the Norwin School District. Now in its sixth year, the fund has supported nearly 50 students with lessons as well as summer music camp grants. Plan to Join us for the Wind Up/Wine Down on Saturday, November 22, 2014! Hope to see you at this year’s Wind Up Wine Down! For our 5th anniversary event will be held once again at the Greenhouse Winery in Rillton, PA on Saturday, November 22nd (the Saturday before Thanksgiving) from 6:30 to 10 PM. This 21-and-over event sells out quickly since seating is limited. The evening will feature wine sampling and sales by Greenhouse Winery, a popcorn buffet from Pittsburgh Popcorn Company, hors devours and a hot chocolate bar. Chinese auctions, a 50/50 raffle, and a door prize are in the works, and, just as we did last year, a specially-labelled wine reflecting this year’s Norwin Band competitive show will be made by the Greenhouse Winery to commemorate the occasion. Prepaid reservations are $35 for adults. Reserved tables of 8 are $250 (must be reserved and prepaid by Nov. 14th). All sales at door are $40 – but for the past 4 years, the event has been sold out before the event date. For up-to-date information and seating availability, please contact Fallie Princeton at 724-864-1426. Hope to See You at Mad Mex in Robinson Township on September 16! …entirely benefiting the fund! Thanks to the generosity of the big Burrito Group, we have been selected for a charity dinner taking place at Mad Mex, Robinson Township on Tuesday, September. Big Burrito is donating the entire meal (except tax, tip, and alcoholic beverages), and a motor coach is being donated for your convenient transportation from Norwin High School. This means that your payment goes to the fund in its entirety. Limited to 57 people – so get your reservations in NOW! They’re filling up fast!